Produced by TOYOTA GAZOO Racing, the new Toyota GR Supra draws on lessons learned from competition at the highest level to make it a pure sports car that's in its element on track – at the limit – or exploiting your favourite road. In the new Toyota GR Supra, we have the perfect platform to go racing. 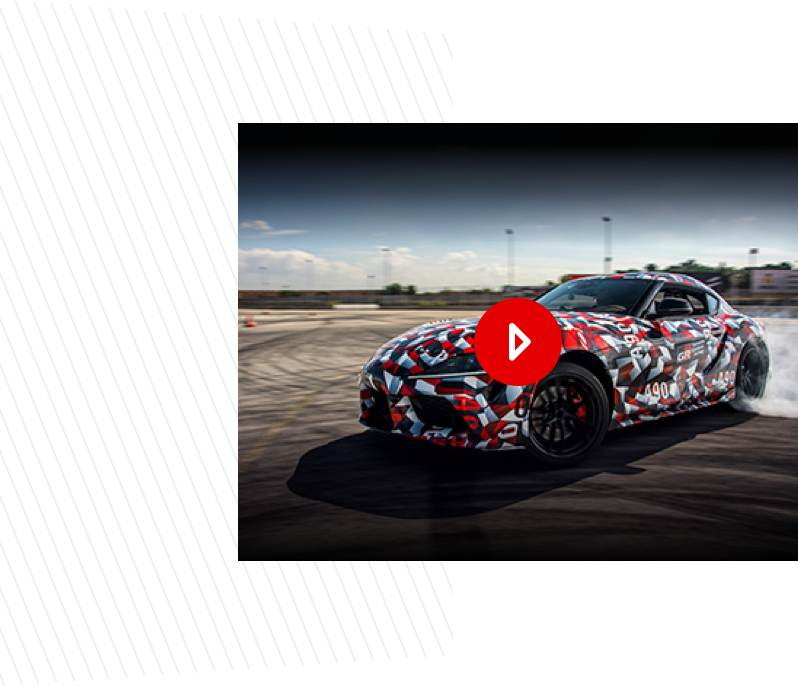 The development of the new Supra Racing Concept forces us to overcome challenges not faced in the road car’s conception. By optimising reliability and fine-tuning the last per cent of performance, our team can achieve their biggest goal: to beat the competition. 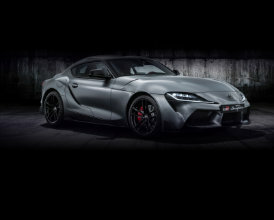 Story of Supra From a starring role in the first Fast and the Furious movie to the choice of wheels for gamers in Gran Turismo®, the Supra has cemented its place in popular culture and inspired young and old around the world. TOYOTA GAZOO Racing From deserts to dunes, gravel to snow, day to night, we’re committed to overcoming every limit to make ever-better cars. Discover more about TOYOTA GAZOO Racing’s motorsport activities. Toyota make the podium at Dakar 2016 - Toyota Europe Relive the mud, sweat and cheers of Dakar 2016 as two Toyota teams raced towards the podium, finishing 3rd and 5th. Toyota's Journey to Dakar 2016 Dakar’s back for its eighth successive year in South America, join the action and follow the Toyota teams' progress. Toyota at the Geneva Motor Show 2017 | Toyota Europe Appropriately, in one of Europe’s priciest cities, Toyota has a wealth of rich pickings on show for visitors at Geneva. From a first glimpse of the dynamic new Yaris, its hot GRMN sibling and radical urban i-TRIL Concept to revelling in the latest TOYOTA GAZOO Racing machinery – the Geneva International Motor Show is the place every Toyota fan should be. Victory for Toyota Yaris WRC at Rally Sweden For the first time since 1999, Toyota has won a round of the World Rally Championship, a feat achieved on only the second event for the all-new Yaris WRC. Toyota TS010: The car fit for endurance Discover the Toyota TS010, a key moment in Toyota's history that has taken on iconic importance by spawning a family of successful Toyota ‘TS’ endurance racers. Toyota 2000GT: Japan's first supercar Discover the Toyota 2000GT, Japan's first supercar.